With decades of experience, the Florida defense attorneys at the Pumphrey Law confidently represent clients both inside and outside of the courtroom. Don Pumphrey, Jr., has previously worked on the other side of the courtroom, as prosecutors and a criminal defense attorney. His experience has given him inside knowledge about how criminal charges are brought against the accused. If you are facing criminal charges, regardless of the severity, this can be invaluable in helping you combat your charges and fight for your freedom. Pumphrey Law represents clients from a diverse range of backgrounds throughout the Florida panhandle. If you have been accused of a crime in any of the above Florida counties, time is of the essence. 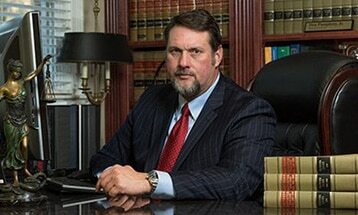 It may be in your best interests to seek the advice of an experienced Florida criminal defense attorney quickly. A criminal defense lawyer can represent your case to help you get your charges reduced or even dropped. However, this is best done as close to the arrest as possible. Depending on the charges you face, certain beneficial pieces of evidence and witness testimony may be time-sensitive. The Florida Supreme Court is the highest court in the state and the final arbitrator of legal cases in Florida. The Chief Justice and the six Justices of the Florida Supreme Court strive to uphold and interpret Florida law and protect the rights and liberties of the residents of the State of Florida. The Florida Department of Law Enforcement provides services in partnership with local, state, and federal criminal justice agencies to prevent, investigate, and solve crimes while protecting Florida’s citizens and visitors. The FHP is a division of The Department of Highway Safety and Motor Vehicles, the state law enforcement agency charged with ensuring the safety of Florida’s highways and roads. For information about Hardship Driver Licenses call (850) 617-2449. Legislative changes to the Florida Statutes effective up to and including January 1, 2011, are treated as current for publication of the 2010 Florida Statutes, so some material in the 2010 edition may not take effect up to or until January 1, 2011. Amendments effective on January 2, 2011, or later, will appear as footnotes. In Florida, traffic law and criminal law are separate. Unless a case involves fleeing the scene of an accident, vehicular homicide, vehicular manslaughter, DUI, or other reckless behavior, motorists are only charged with traffic offenses. If you’ve been accused of a crime in Florida or need legal counsel in administrative matters, call the Pumphrey Law at (850) 681-7777. As an experienced criminal defense attorney in Tallahassee, Florida, Don Pumphrey, Jr., also has an understanding of the Florida court system based on experience as a former Assistant State Attorney and former law enforcement officer. When you have so much at stake, it’s important to work with an attorney who understands the Florida criminal justice system well. Contact our firm today to begin taking the necessary first steps towards safeguarding your future.